Soaking, sprouting and fermenting activates phytase, which inhibits the phytic acid and lectins bound in the phosphorus content of the outer layer of grains, legumes, nuts and seeds. Phytic acid blocks absorption of minerals and inhibits the enzymes needed to digest foods. In the plant world phytic acid is required for protection against insects and to maintain the freshness of seeds for germination and protect against fungi. 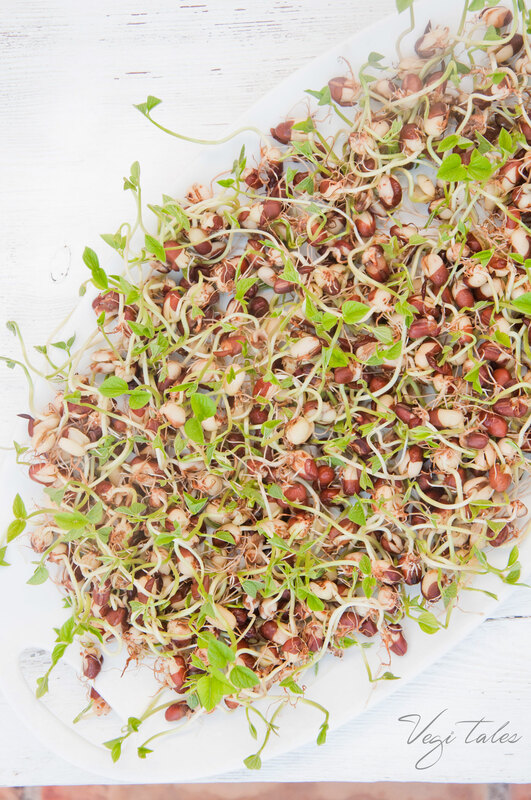 Sprouting is the process of germinating seeds — whether grains, nuts, beans or different kinds of seeds — so that they are easier to digest, it neutralizes enzyme inhibitors and your body can access their full nutritional profile which actually increases consistently. Sprouting is actually very easy and fun! I bought the adzuki beans in an organic store and I would advice you do the same, as you’d want them to be organically grown and definitely not treated in any way. When the seeds you choose aren’t organic it’s likely they won’t sprout. 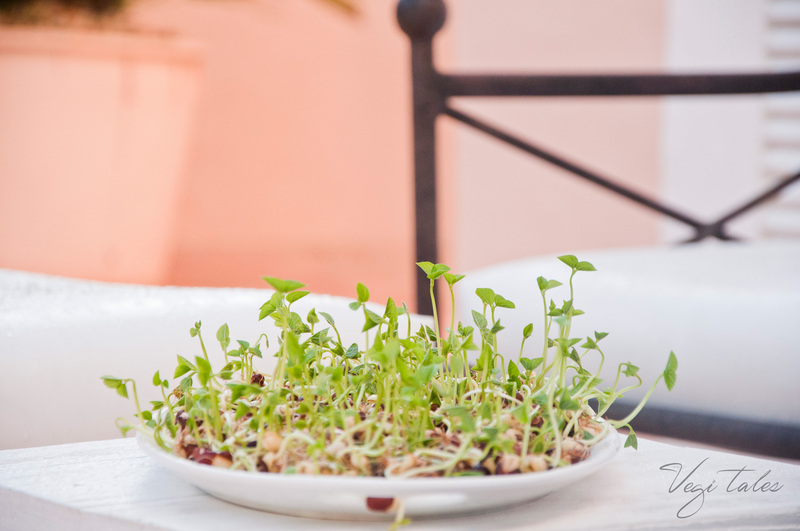 Sprouting increases the amounts and bioavailability of protein, vitamins and minerals, transforming them into nutrition powerhouses! Add the beans in a jar and cover with filtered water, at least 3-4 times the amount of beans. Soak overnight / for about 8-10 hours. Rinse and wash the beans a few times until the water is clear. Cover jar with sprouting lid or a fine clean cheesecloth secured with rubber band. Drain water through lid or cloth and rinse again and throughly drain about 2-4 times per day for about 3-6 days (depending on weather conditions and temperature). The sprouts develop well in a moist, but not too wet or too dry environment. Standing the jar in a tilted position (such as in a bowl for support) ensures water does not pool around beans. Place out of direct sunlight in a location that is easily seen so that you remember to rinse them. Cut the sprouts when ready (2 - 4cm in length) and store them in the airtight container in the fridge. Best consumed fresh in the first 2 days. Always maintain a very clean environment and tools when sprouting.